Arlington, VA, 29 March 2016—Time is quickly running out on the early bird discount for the National Genealogical Society (NGS) Family History Conference in Ft. Lauderdale. After 31 March 2016, the registration price for NGS members will increase from $205 to $240 for all four days and the non-NGS member price will increase from $240 to $275. You also will no longer be able to order a printed syllabus or flash drive version of the syllabus. To qualify for the early bird discount, your registration must be received online or postmarked by 31 March. 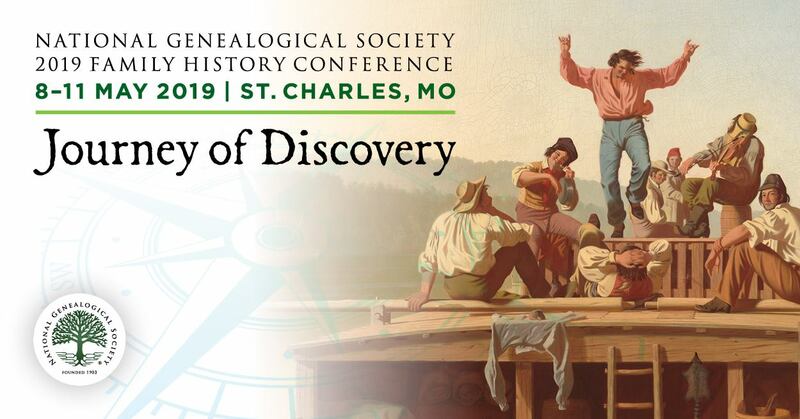 The Conference will feature more than 180 lectures from basic to advanced genealogical research, including four days of BCG Skillbuilding lectures and twelve lectures on genetic genealogy. Diversity is another focus of this year’s conference. Eighteen lectures discuss African-American genealogical research, five focus on Jewish genealogy, two on Cuban genealogy, and nine on women. 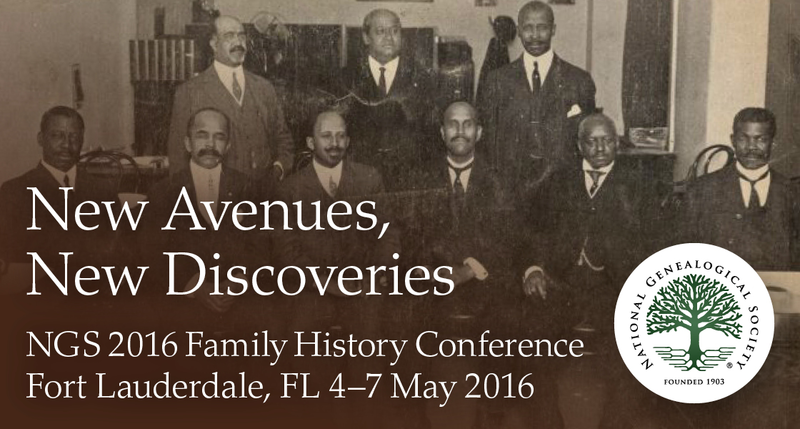 Floridians and those with ancestors from Florida will want to consider the nine lectures that focus on Florida’s rich archival history. In addition, the conference will provide a number of lectures on European ancestors, including French, Spanish, Scandinavian, Italian, Scots-Irish, and others. The NGS Conference will be held at the Greater Ft. Lauderdale/Broward County Convention Center and will run from 4-7 May. 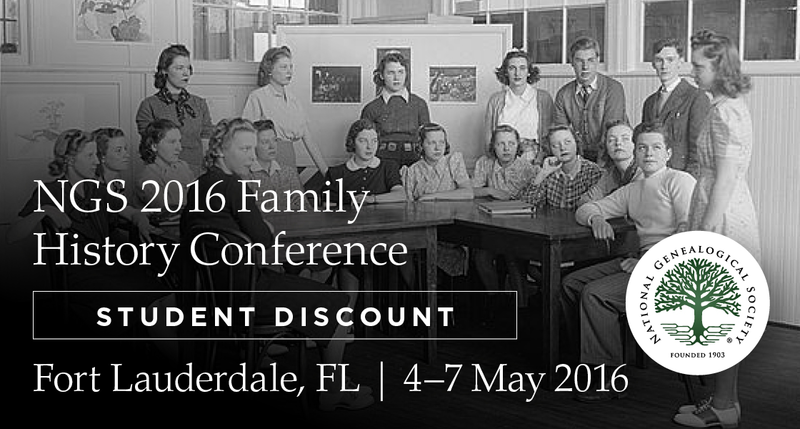 For conference information and to register, go to the 2016 NGS Family History Conference. The NGS Banquet is an event not to be missed! 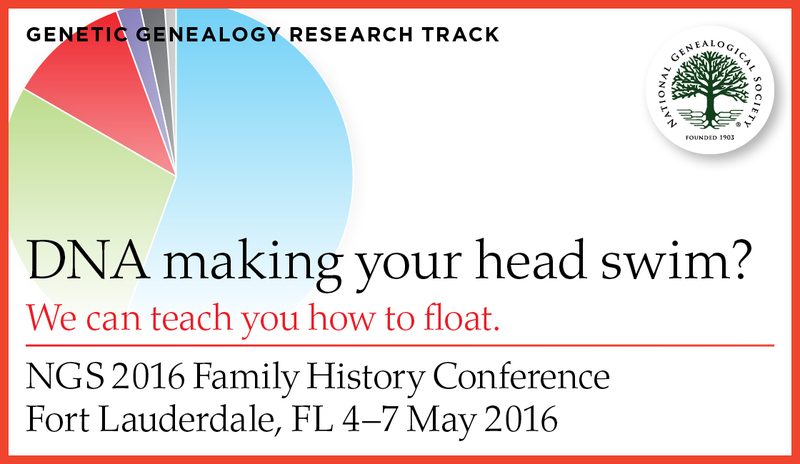 Guest speaker David E. Rencher, AG, CGSM, FIGRS, FUGA, will discuss what matters most to genealogists and family historians. Registration for all meals and social events closes on 22 April 2016. Tickets for social events will not be sold on-site. Be sure to sign up as quickly as possible. The Florida State Genealogical Society Host Event, “Taste of Florida,” is $42; luncheons are $32; and the banquet is $45. Menus are in the registration brochure. There’s still time to sign up for two exciting tours on Tuesday, 3 May 2016, prior to the NGS Family History Conference. For more information, please see Local Area Tours. Registration for the tours closes on 22 April 2016. To add meals, tours, and pre-conference events to your current registration, log on to the NGS website, click on My Account, select My Events, and then click to Add Sessions. We hope to see you in Ft. Lauderdale in May! Arlington, VA, 29 MARCH 2016—Time is running out for speakers as well as organizations interested in sponsoring lectures to submit lecture proposals for the National Genealogical Society (NGS) 2017 Family History Conference, Family History Lives Here, to be held in Raleigh, North Carolina, from 10–13 May 2017. All proposals must be submitted electronically through the NGS website by 11:59 p.m. EDT on 1 April 2016. Among the topics being considered by NGS for its 2017 conference are presentations on North Carolina history, including available records and repositories; land grants and other land records; court system and laws; ethnic and religious groups; military, farming, and other occupations; neighboring states; and migration to, from, and within the Carolinas. The Society also will consider other topics of interest reaching from the Colonial era to the 21st Century. In addition, NGS encourages the submission of proposals for broader genealogical categories, including methodology, problem solving, and technology. Freedmen’s Bureau records are “color blind” – why everyone should check these records! These records are excellent for that purpose. During the seven years of its existence (1865-1872) and despite a lack of sufficient funding, it sought to provide help to four million former slaves. However, researchers should not assume that entries found for a name of interest are for a freed slave. In fact, many of these records are “color-blind” and include records for both “colored” and “white” individuals. To qualify for support from the Freedmen’s Bureau, one only had to be declared poor, destitute, infirmed, or in some form of need. In the immediate aftermath of the Civil War, most people living from Delaware to Texas, regardless of race or original circumstances, would have qualified for support. I have been researching in these records for many years focusing on North Carolina. I find as many, if not more records documenting the widows and children of deceased or maimed civil war soldiers (Union & Confederate), aged and infirmed individuals, recent immigrants, and soldiers themselves, than those of freed slaves, especially when it comes to receiving rations (i.e., pork and corn). Many pertinent records are found in the Freedmen’s Bureau records of field offices for the various states. If you have immediate post-Civil War southern ancestry, CHECK OUT these records. Even if your family was not impoverished, they may have been party to a contract, required medical assistance (returning soldiers especially), been brought before a court managed by the Freedmen’s Bureau, or found in other records. ALL southern researchers, regardless of color or circumstances, need to explore the hidden gems found in these records. Learn more about these records at the upcoming NGS Conference, session T227 (Thursday, May 5, 2016, 11am-12pm), Freedmen’s Bureau Records – More Valuable to Anyone’s Southern Research Than You Might Have Thought! part of the African American track. We often think of Oral History as focusing on people and families and their stories. I read with great interest a recent Southern Oral History Program blog post titled African American Credit Unions. The blog post includes interview clips as well as some documentary evidence of the history of the rise of African American credit unions in NC. With a bit of digging I found someone else who interviewed “African American credit union elders” as reported in Labor Unions in the African American Credit Union Experience: Oral History Tour Take-away #1 (Credit Union History blog). Here is a video created before the oral history tour commenced. Are you aware of Oral History projects which focus on an institution or aspect of general history versus genealogy and family history? The article says it all Turning hard-to-read cursive into computer type. ... But anyone studying the nearly 200-year-old deed today might not be able to easily glean those reflections by Adams or the other particulars of the document. Handwritten in the flowing cursive style of the day, the densely-packed words are a challenge to read. To access the records, visit the Norfolk County Register of Deeds Records Database. It is recommended that you use Internet Explorer or Firefox and do NOT use Chrome, since Java is required and currently not supported by Chrome. There are pay and free options. I’d start with the free option and see if that is sufficient for your needs. In North Carolina, many register of deeds offices have placed older indexes and/or complete runs of their deeds online. Has your local deed office or equivalent put records online? Do you know of a local project which will improve access to records important to family history research? Transcribing -- a great way to celebrate Sunshine Week and you can do it year round! Last week was Sunshine Week. Every transcription helps "unlock" the information and helps open government records. Each day of this week-long event we’ll release a mission based on an historical era. Our goal is to transcribe 2,000 pages this week. Transcriptions created by Citizen Archivists will enhance searches in our catalog and the transcriptions will be added to DocsTeach, the online tool for teaching with documents from the National Archives. I wonder how successful they were. Did you transcribe something last week for a genealogical or historical society, library, archive or repository? Every document transcribed is one that becomes “open” to researchers to use!